PRESS RELEASE 1/18/18: With rebates of up to $17,500, geothermal heating and cooling is within reach for more Massachusetts homeowners with the help of EnergySmart Alternatives. EnergySmart Alternatives, LLC of Medford, Massachusetts is well versed in obtaining geothermal rebates for its customers. EnergySmart has secured over $385,000 in rebates since 2014 through the Massachusetts Clean Energy Center (Mass CEC) Ground-Source Heat Pump rebate program. According to a database published by the Mass CEC in July 2017, EnergySmart has secured double the rebates of their next closest competitor and has obtained more than 20% of all residential rebates awarded in Massachusetts. Before installation begins, qualified homeowners must have their chosen geothermal installer complete the Mass CEC rebate paperwork on their behalf. Homeowners are responsible for scheduling a free MassSave Home Energy Assessment and providing a copy of a recent electric bill to qualify for the program. They must also sign a Participant’s Agreement indicating that they agree to participate in the rebate program. Rebate checks are mailed typically three to four weeks after the geothermal system installation is complete and the final paperwork has been submitted by the installer. Checks can be written directly to the homeowner or to the installer. Qualified homeowners can take advantage of the rebate through 2020. To learn more about how to apply for the available rebates click here. The Rodgers Residence in Medfield, MA. Recently, one of our installations was showcased by the Massachusetts Clean Energy Center as a geothermal success story. The 3700 square foot home had an oil boiler, two hydro-air units, and two air conditioning condensers. Despite having the air conditioning evaluated by several HVAC companies, it never worked properly. Between 1997 and 2016, the average oil usage at the home was 1,500 gallons per year for heating and hot water. In October 2016, we hired Geothermal Drilling of New England to drill two closed loop geothermal boreholes in the backyard. 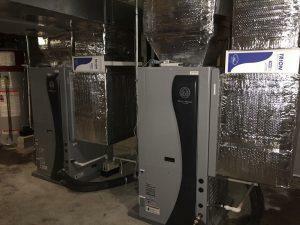 We installed two Water Furnace 7 Series geothermal heat pumps in the basement. This equipment has variable speed compressor and variable speed fan technology. Heating efficiencies range from 360% to 510%. The new geothermal systems are equipped with Symphony real-time monitoring to track electricity use and other operating parameters. Room temperature can be controlled from anywhere by a smartphone. High grade pleated air filters were installed for improved air quality. Between November 2016 and October 2017, the total operating cost for heating and cooling has been $790. Annual savings have been over 70%. The oil usage has been eliminated completely with the addition of a heat pump water heater coupled with the geothermal system. Ongoing issues with inadequate air conditioning in the summer were addressed by correcting ductwork sizing. 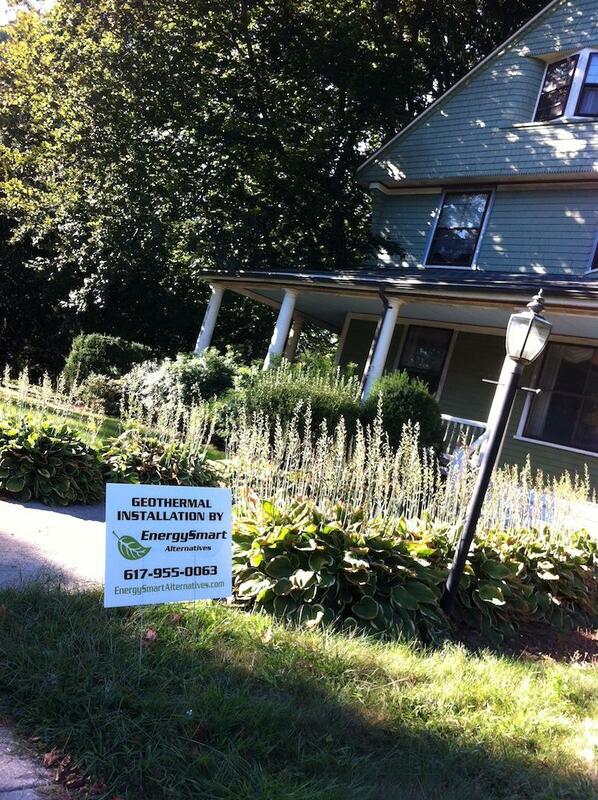 Call us at 617-955-0063 so we can add your home to our list of geothermal success stories! 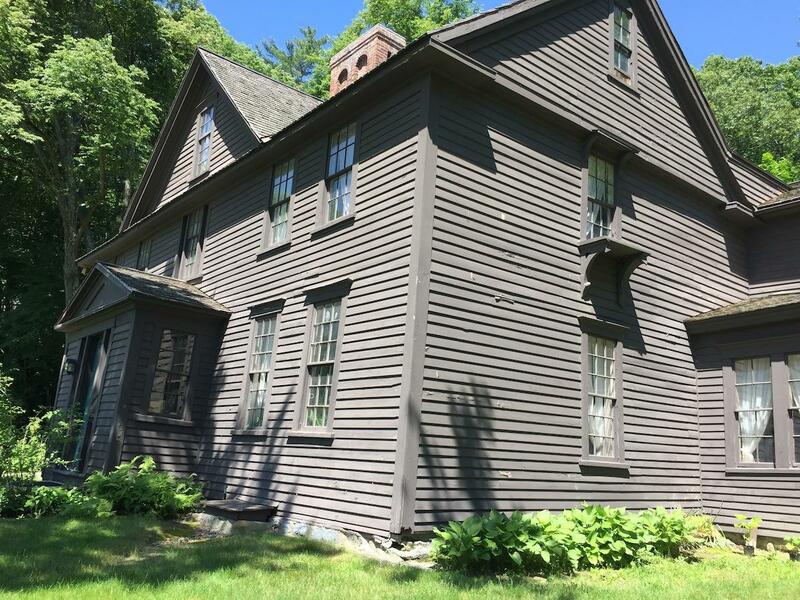 EnergySmart Alternatives of Medford, Massachusetts has been hired to install a geothermal heat pump heating and cooling system for the historic home of ‘Little Women’. 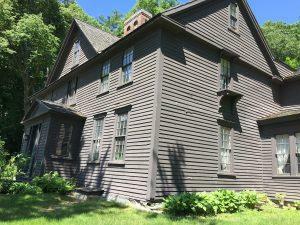 Louisa May Alcott’s Orchard House, home of ‘Little Women’, is preparing for the installation of a new state of the art geothermal heating and cooling system. EnergySmart Alternatives, LLC (EnergySmart) of Medford, MA has been awarded the contract for the design and installation. The existing heating and cooling equipment is approaching the end of its life and requires major repairs. However, there are a number of site conditions that make this particular geothermal installation a challenge. Archaeologists from the Fiske Center for Archaeological Research at the University of Massachusetts Boston are currently conducting archaeological excavations at the back of the property in the areas to be disturbed as part of the geothermal installation. The idea is to preserve any artifacts that may exist below the surface before drilling is under way. Any significant findings would not preclude the geothermal system’s installation but could cause delays to the proposed fall 2017 work schedule. There is also the challenge of the overall building energy efficiency. Because Orchard House cannot be insulated or upgraded in any way that affects the aesthetics, the heating and cooling requirements are very high. In fact, the only way to control the humidity with the current system is to run the heat and air conditioning at the same time. 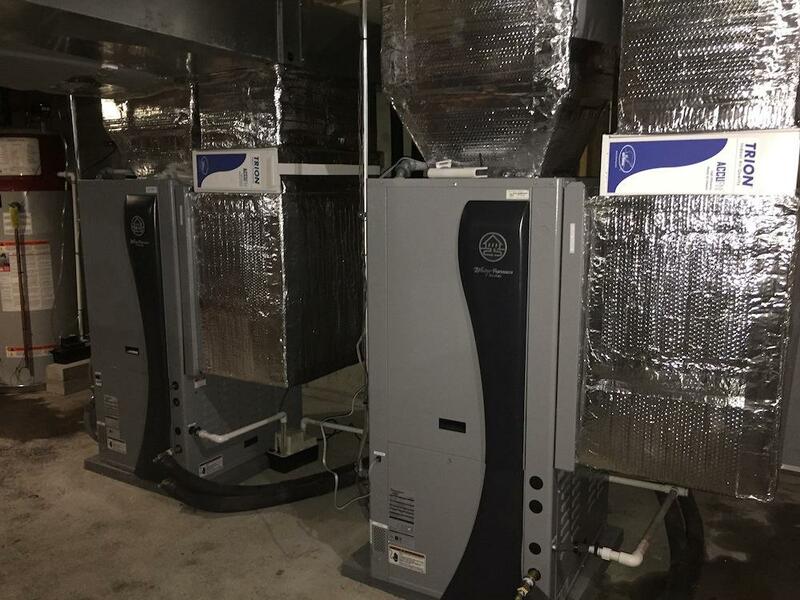 Geothermal heat pumps have been selected as it is the most efficient way to deliver heating and cooling to the building with equipment efficiency ranging from 300 to 500%. Since 2014, the Massachusetts Clean Energy Center (MassCEC) has offered rebates for geothermal installations. As of March 15, 2017, EnergySmart has secured 43 rebates for homeowners totaling over $356,000! If your electricity is provided by National Grid, Eversource, Unitil, or a Municipal Light Plant in Ashburnham, Holden, Holyoke, Russell or Templeton, then you are eligible. A Home Energy Assessment is required to participate in the geothermal rebate program. 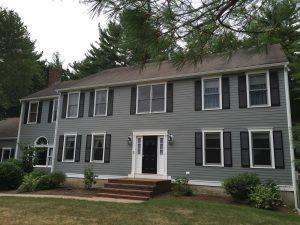 To schedule your Home Energy Assessment contact Mass Save. A list of pre-qualified geothermal installers can be found on the MassCEC website. You can find out how many rebates each installer has obtained and the types of projects they have completed by downloading the Project Database. You will be asked to provide the date of your Mass Save Home Energy Assessment, your signature on a Participant’s Agreement, and a copy of your electric bill. The installer will be able to tell you the value of your rebate once the paperwork is complete. You will be asked to sign the final paperwork verifying that the system was installed. The check may be written directly to you or to the installer. In October 2015, we were honored to have our geothermal installation filmed by This Old House. We designed, managed, and installed the system. Drilling, sheet metal, piping and the equipment were covered by the show. 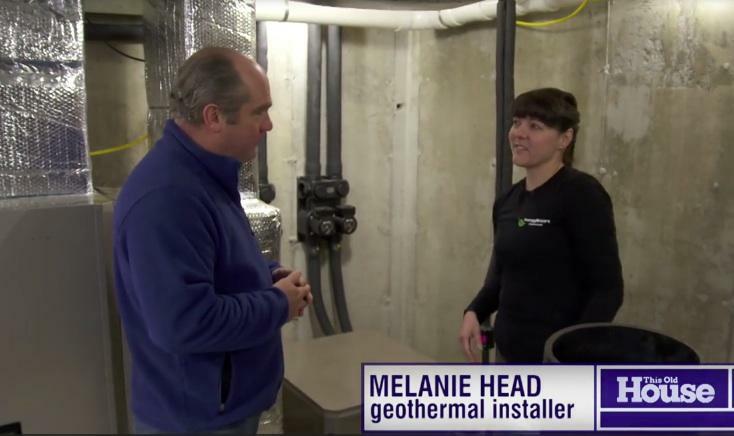 It was a lot of fun to be a spokesperson for geothermal on an internationally syndicated television show! This home has two geothermal systems: one for heating and cooling the main floor and basement and one for heating and cooling the second floor. The home has wifi enabled thermostats that can control the heat and air conditioning from a smart phone. We equipped the geothermal system with a monitoring device that tracks electrical usage and other geothermal operating parameters in real-time. This 4,000 sq. 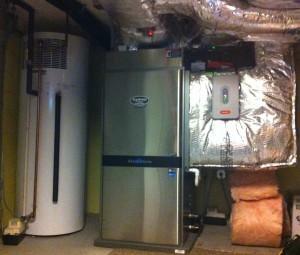 ft. home has used less than $1,200 for heating and cooling for a whole year. To watch and learn about this geothermal system, please visit the This Old House video link. Heat pumps are not a new technology. Although relatively unknown, geothermal heat pumps have been used for building heating and cooling since the 1940s. In fact, one of the nation’s most documented geothermal system is located in Winchester, Massachusetts. Our YouTube channel is chock-full of information about geothermal heating and cooling in New England. 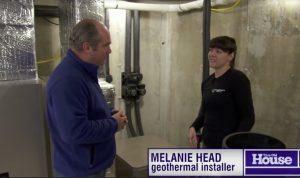 Our Geothermal 101 video is a great place to start! What are the Benefits of Switching to Geothermal? A rapid return on investment (ROI) can be expected. When financed, positive cash flow can be realized immediately. Operating costs plus the loan payments can be less than what you were paying for oil, gas, or propane. No more oil, gas, or propane bills for heating. In areas without natural gas service, installing a geothermal system can be cheaper than bringing gas service to the house. No carbon monoxide risk because there is no combustion. Fossil fuels are eliminated for heating. Gas and oil vapors are gone. Superior dehumidification during air conditioning season. Humidification can be added for dry winter months. High-grade and hospital-grade filtration systems available for those with pets, allergies, or health issues. Energy recovery ventilators can be integrated to conserve energy while providing fresh air. No more burning of fossil fuels for heating. Reduce your home’s carbon footprint by 30% to 50%. Eliminate the risk of an oil spill on your property. Minimize your contribution to the urban heat island effect by dissipating heat deep below the ground surface in the summer. Reduce vehicular traffic as a result of less oil deliveries to your neighborhood. Can be integrated with other renewable technologies like solar PV panels or solar hot water collectors. Gain financial freedom by eliminating fossil fuel price volatility from your life. Be more comfortable more often by maintaining a constant temperature in your home year round. Goodbye 10 degree setbacks! Pay one less bill. Heating is now on your electricity bill. Service and maintain only one piece of equipment. One unit does both heating and cooling. Brag to your friends about how low your heating bill is with your new state of the art geothermal system. Geothermal is the only cost effective alternative to oil or propane when gas service is not available. Reclaim your backyard by disconnecting and removing your noisy outdoor air conditioner. Have better control over your home by using programmable thermostats and integrating with home automation. The 30% federal tax credit can be applied to installation. With the available tax credit and rebates, the installation can sometimes be cheaper than high-efficiency ‘conventional’ heating and cooling systems. If more expensive, the incremental price difference pays for itself in only a few years. Landscape repair is not an issue as landscaping is usually done when construction is complete. Eliminate the need to install a gas line, oil tank or propane tanks for heating. Eliminate the need to install outdoor condensers for air conditioning. 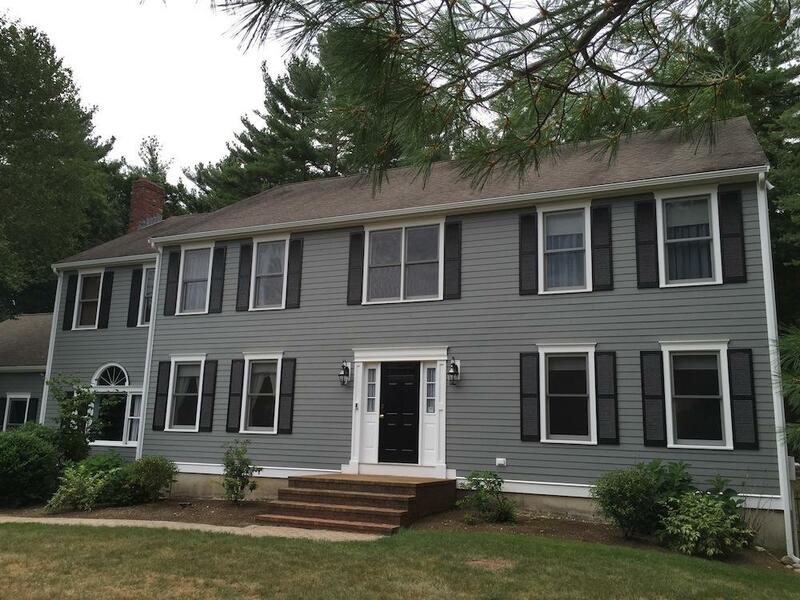 Watch this video to learn a little about a new construction project that we completed in Lexington, Massachusetts. 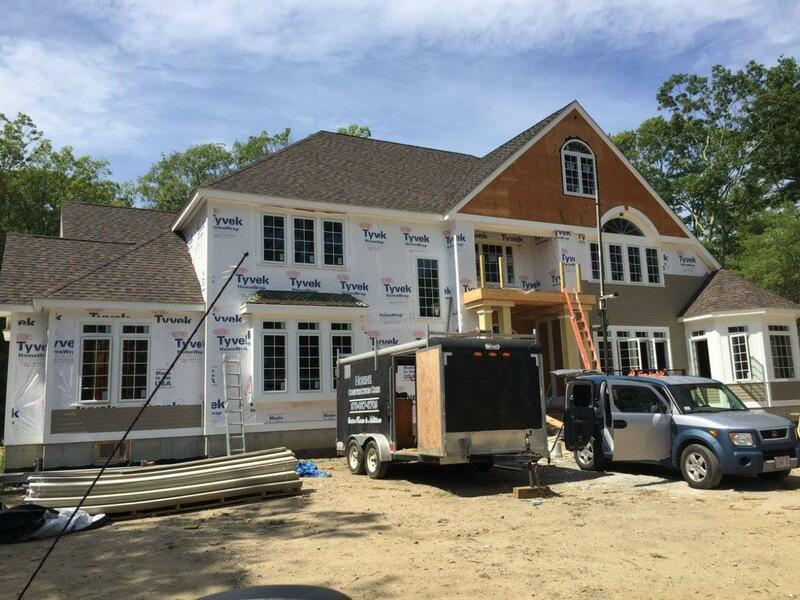 Please also visit our many photo albums showing installations at various residential new construction projects throughout Massachusetts. What Do Geothermal Pumps Look Like? 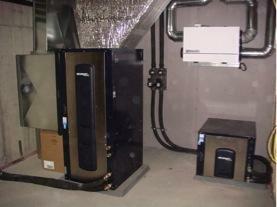 Package units, or water-to-air heat pumps, are not unlike traditional forced hot air furnaces. The compressor is in the bottom of the cabinet and the air handler is on top. The duct work is attached to the cabinet similar to traditional systems. Split units work in a similar fashion to package units except that the cabinet is split into two components: 1) the compressor and 2) the air handler. They are connected to each other with a refrigerant line that is run from the heat pump location to the location of the air handler. 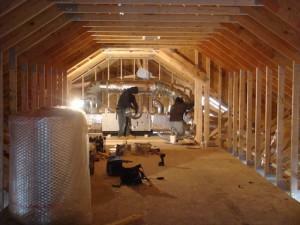 These types of systems are usually used when it is not possible to get duct work from the basement up to the attic. The photo depicts a package unit on the left and a split unit on the right. Above the split unit is an energy recovery ventilator. Please visit our Facebook page to see more photos of a geothermal package unit and a split unit that were installed in the same house. Our YouTube Channel also has a video of geothermal heat pump installation with a package and a split unit. Hydronic units, or water-to-water heat pumps, can behave as a boiler in the winter and as a chiller in the summer. Hydronic units look similar to split units and usually have one or two water storage tanks connected to them. These storage tanks, that have a volume of 85 gallons to 120 gallons are used to hold water that is pumped to air handlers that are located elsewhere in the building. In the winter, these tanks hold hot water at a temperature usually between 110F and 125F. In the summer, they hold water at temperatures usually between 45F and 65F. Geothermal heating and cooling takes advantage of the constant temperature of the earth. In the summer, heat is extracted from the building and is discharged into the ground. In the winter, heat is extracted from the ground and discharged into the building. The heat is concentrated through the use of a heat pump. Unlike air source heat pumps that work against highly variable air temperatures, geothermal heat pumps both heat and cool using a constant earth temperature. In New England, the ground temperature is approximately 55 F degrees year round at depths greater than 20 to 30 feet below grade. Typically, for vertical geothermal installations, the borings are 300 to 600 feet deep. For horizontal installations, the trenches are 6 to 8 feet deep and hundreds of feet long. Even in horizontal installations, the ground temperature at this shallower depth offers enough capacity to adequately heat and cool your home year-round. The table below demonstrates the temperature differences that an air source heat pump and a geothermal heat pump must overcome. Although both technologies are technically heat pumps, the geothermal system experiences a much smaller temperature difference (delta T) than the air source heat pump. The geothermal system, in effect, has less work to do to achieve the desired indoor air temperature than the air source system. This means that geothermal heat pumps are more efficient at the same outdoor temperature.